Today in Barcelona, at Mobile World Congress, Microsoft unveiled new devices, services and partner offerings to help every person and organisation on the planet achieve more. 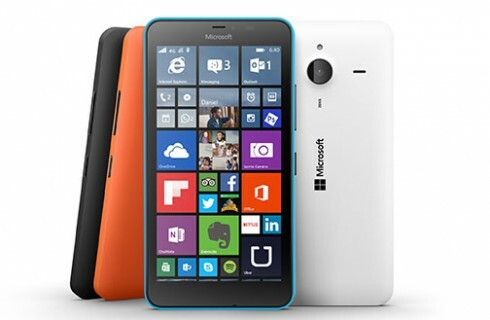 – The Lumia 640 and Lumia 640 XL, affordable smartphones running Windows 8.1 with signature Microsoft experiences built-in. The 5” Lumia 640 and 5.7” Lumia 640 XL deliver powerful hardware and a year’s free Office 365 personal subscription, and will be upgradeable to the Windows 10 service when it becomes available later this year. Lumia 640 pricing is estimated at 139EUR for 3G and 159EUR for LTE; Lumia 640 XL pricing is estimated at 189EUR for 3G and 219EUR for LTE (actual market pricing may vary). – The Microsoft Universal Foldable Keyboard, an ultra-thin and lightweight accessory that works with iPads, iPhones, Android devices and Windows tablets. – The AT&T Mobile Office Suite, a cloud-based, mobile collaboration solution for small-to-medium sized business customers, exclusively from AT&T and Microsoft in the US. The company also demonstrated live, for the first time, the latest build of Windows 10 for phones, including the new browser, Universal Office, Maps and Imaging Apps on devices including the Lumia 640 and Lumia 640 XL.